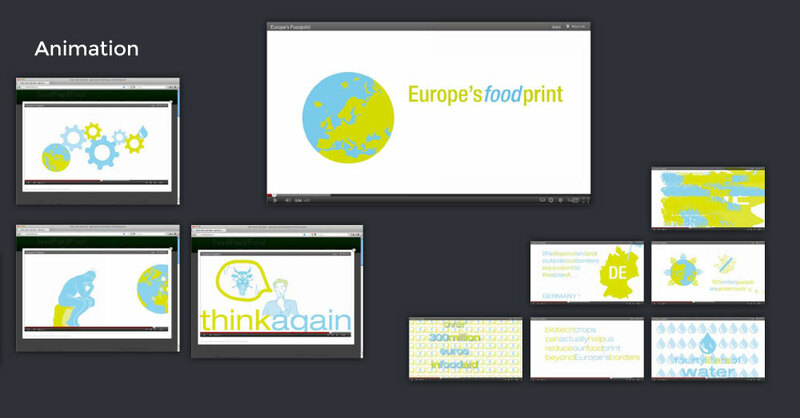 The “time to think again” campaign was launched in 2011. 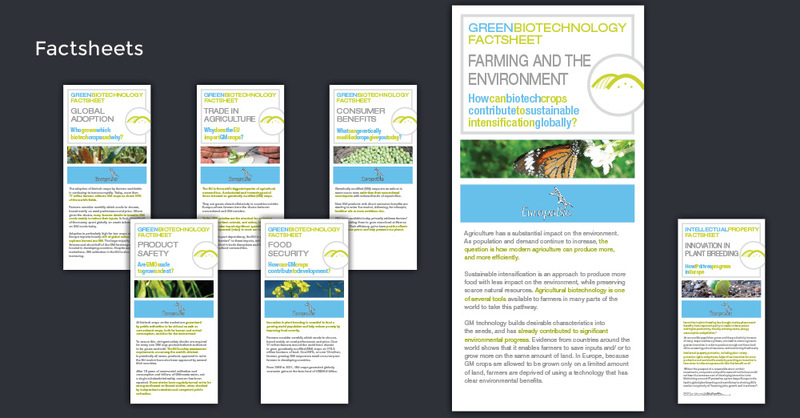 The idea was to invite MEP’s to think again about biotechnology. EuropaBio asked us to conceive a campaign to launch the project. 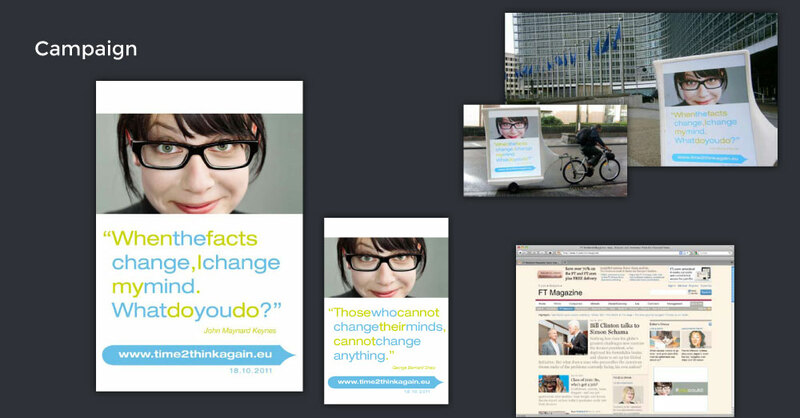 At the heart of the “active” campaign, we thought of mobile advertising around the European Parliament. On bicycles. We distributed postcards at the entrance of the parliament, in two waves. The first one was a teaser. “If facts change, what do you do ?” was the main theme. The second one gave the answer. Biotech ? Time to think again, it said. 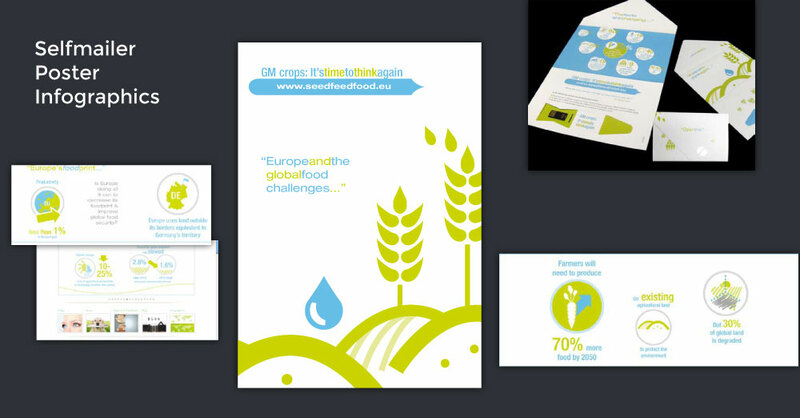 Similar e-postcards were also sent to hundreds of MEP’s, opinion makers and stakeholders. The campaign was sustained by a Financial Time banner. 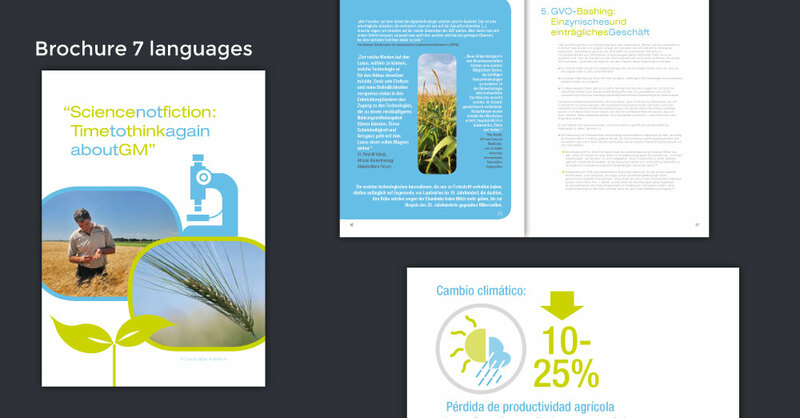 We also created brochures, fact-sheets, a self-mailer with a USB-key containing key-information, a poster, infographics, pictograms, etc. And we produced and directed an animated film to promote the idea of reconsidering one’s point of view on biotech. We made the script, the screenplay, we created the images, the animation, and composed an original soundtrack and added sound effects. 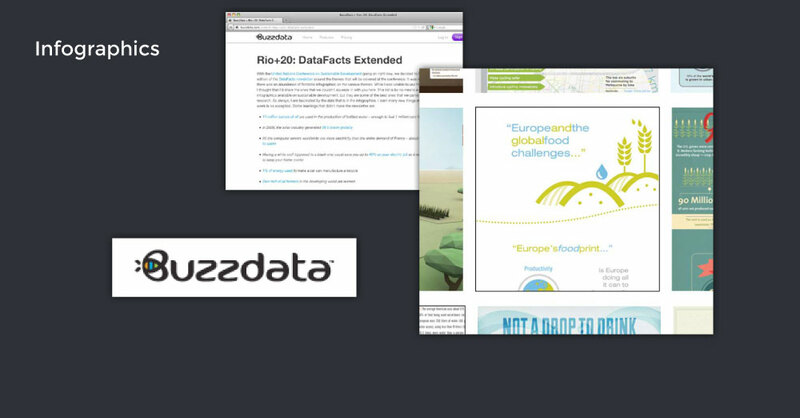 The poster we created for the campaign was selected by BUZZDATA as one of the best infographics on sustainability at the Rio+ 20 Summit.